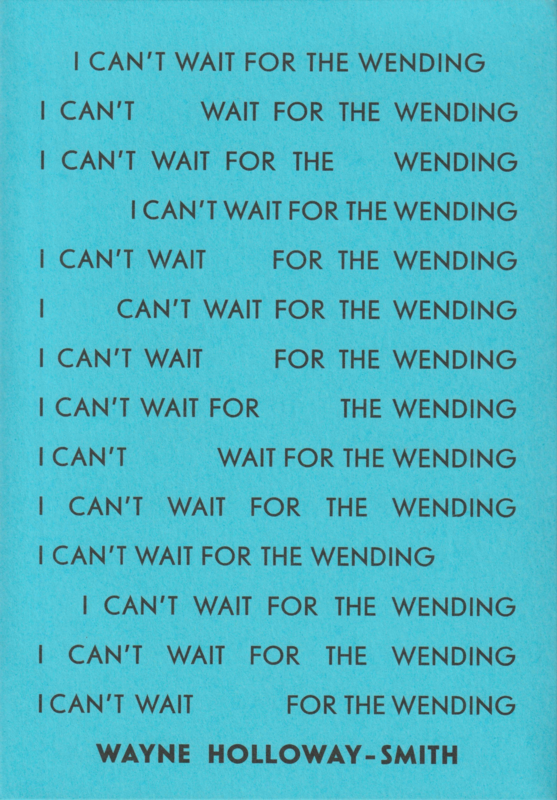 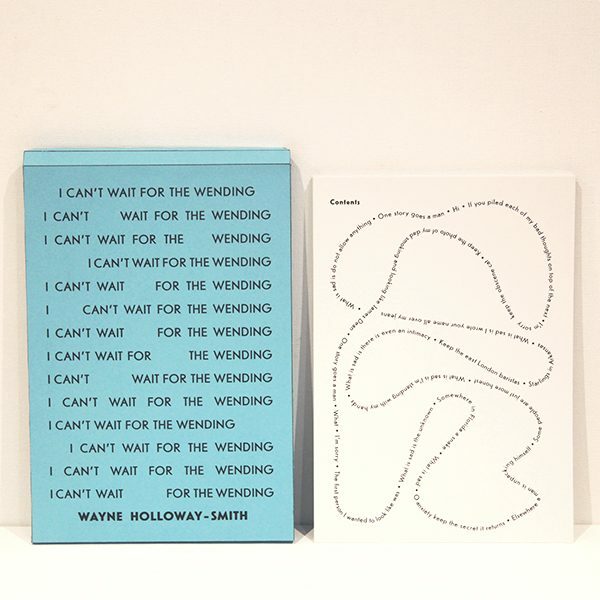 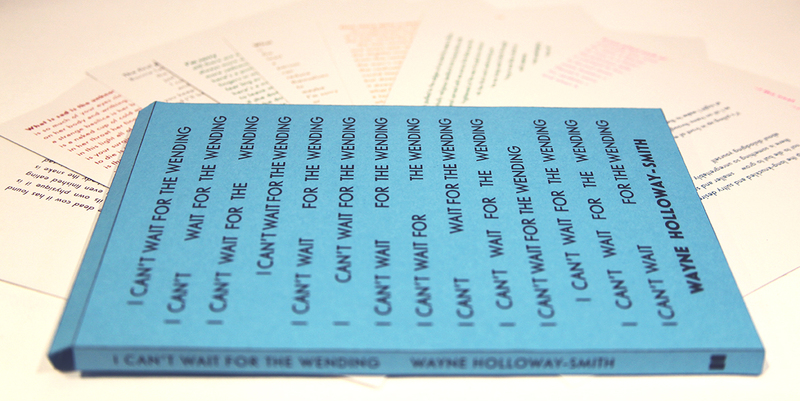 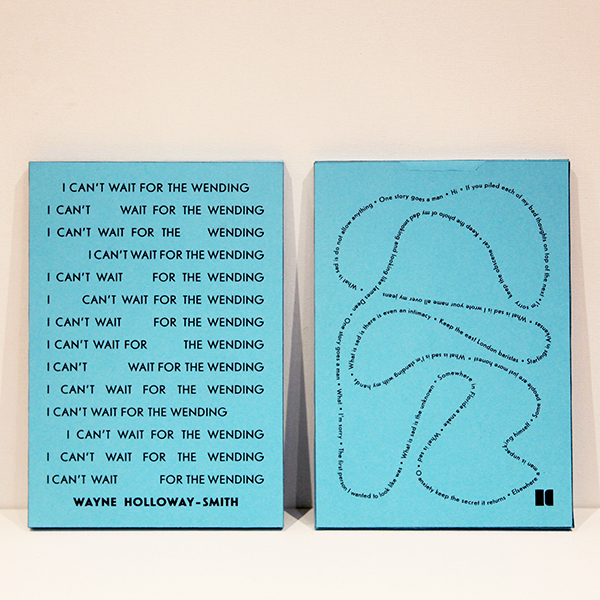 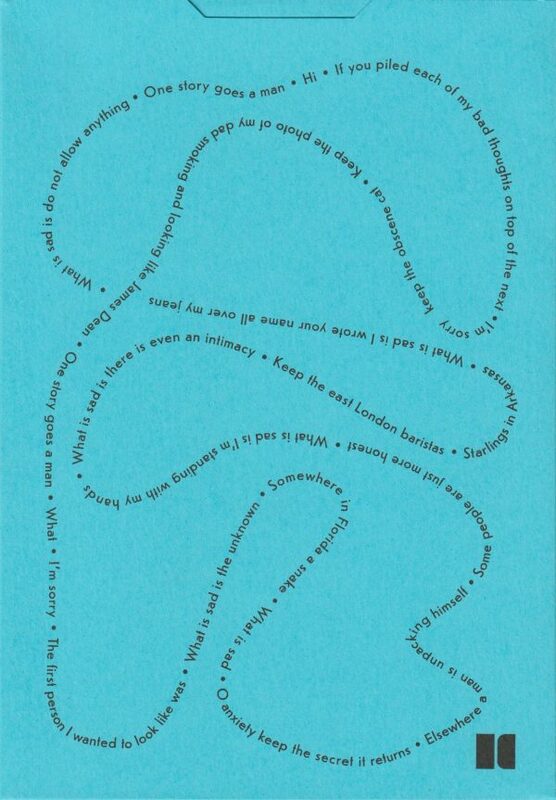 We are excited to announce the publication of I CAN’T WAIT FOR THE WENDING, a non-linear sequence of poems by prize-winning poet Wayne Holloway-Smith. 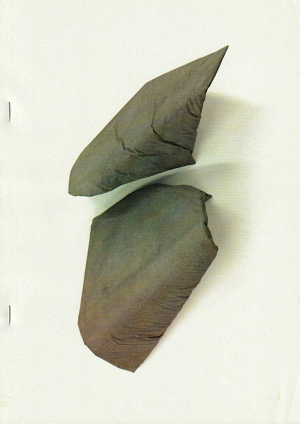 The work is based upon ideas and structures that play with contingency and coincidence. 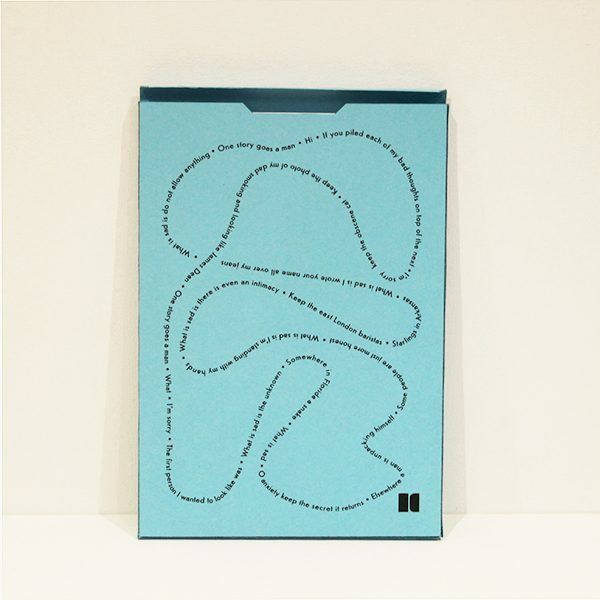 The title, taken from a misspelt line written by Holloway-Smith’s daughter, plays upon the inventiveness of linguistic accident, setting the tone for a collection of poems which relish the creativity of chance. 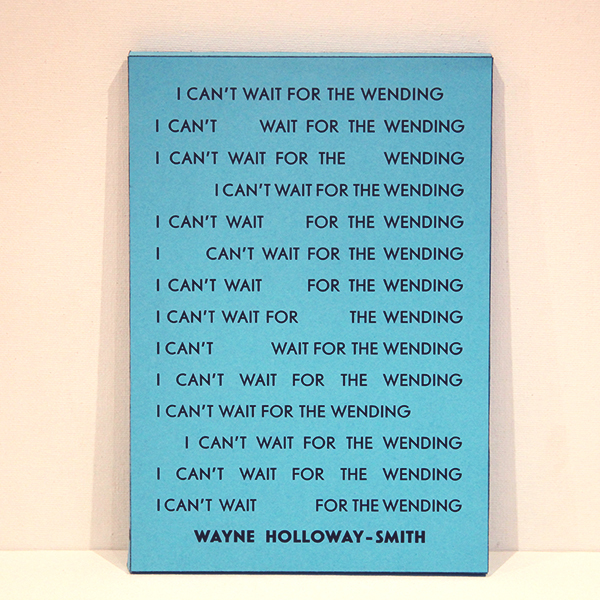 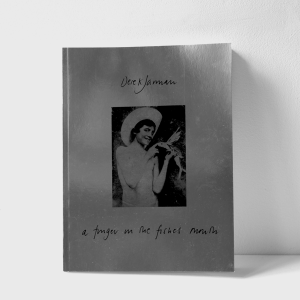 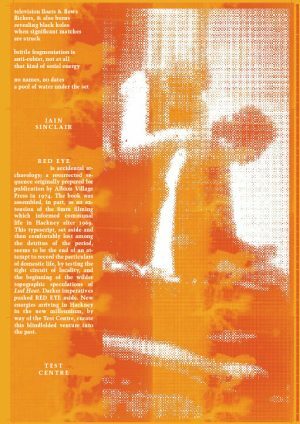 Formal patterns are stretched beyond the limits of individual poems and across the sequence as a whole, while recurring images are used to reflect upon and make sense of the pervasive anxieties around which the poems revolve. 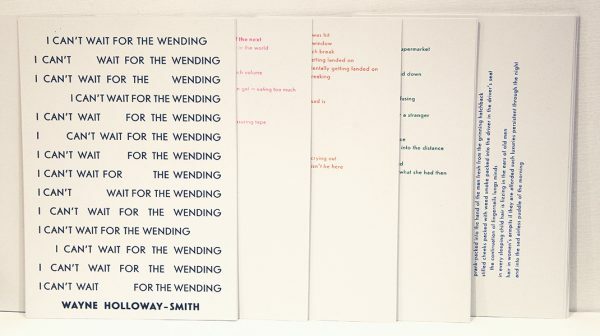 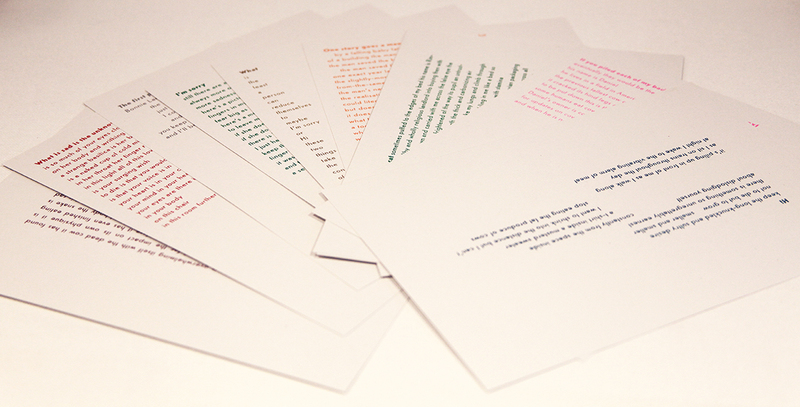 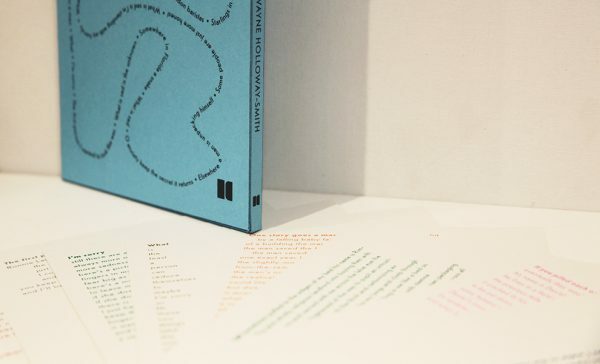 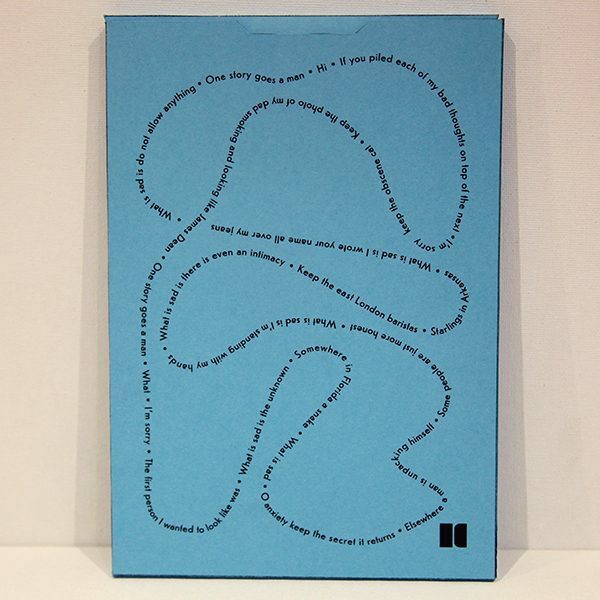 The format of the publication materialises the poems’ playfulness: traditional black ink is replaced by a range of fourteen different colours which appear arbitrary but are subtly patterned. 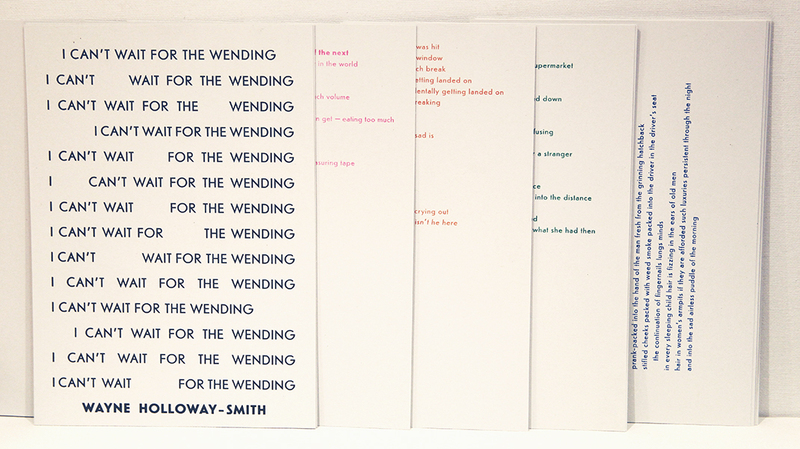 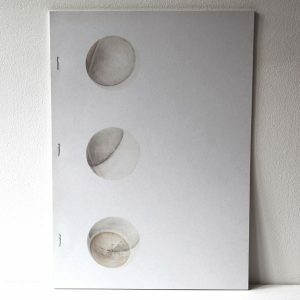 The poems can be read in any order, and are printed on unpaginated, unbound sheets, inviting the reader to approach the work in their own way. I CAN’T WAIT FOR THE WENDING marks an exciting development in Wayne Holloway-Smith’s work, building upon his previous publications with a new sense of freedom and experimentation.